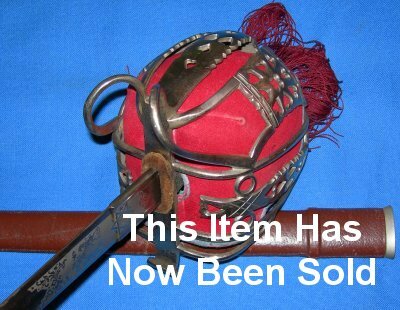 A very good Fenton Brothers made Scottish infantry officer's basket hilted broadsword, George V / WW1 era. In very good overall condition for an antique! 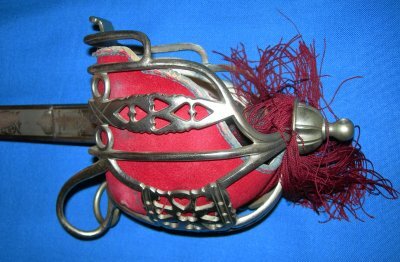 The George 5th / WW1 era basket hilt is marked to "Fenton Brothers Ltd Sheffield, Sword Cutlers to the War Office". The 32 1/2 inch blade is in good condition, some light rust but nothing too much. Blade firm in the hilt, the hilt generally very good. The fishskin grip and twisted grip wire bindings are good, the crimson basket lining in good order, the blue edging faded and worn. The crimson tassel good but starting to lose a few strands. 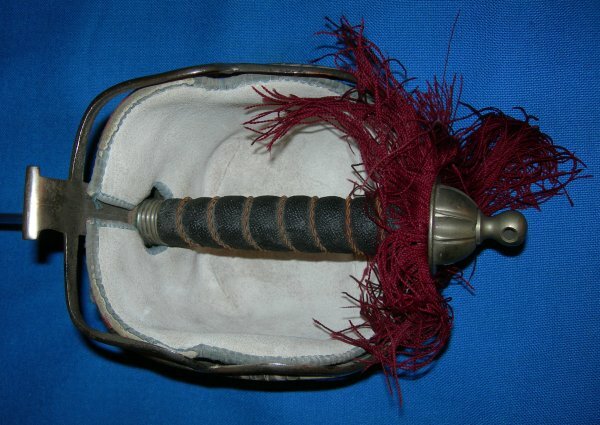 The leather field service scabbard in good shape, the sword sheathes and draws well.